The first detail that must be resolved is where the dog should be. It is a matter of personal preference, but usually it is easier that you have the dog a little behind rather than a little in front of you in order for you to be able to turn left without stumbling on the dog. Of course, this also depends on how big the dog is – a small dog may have it’s shoulder level with your toes, while a larger dog may have the ear level with your knee. 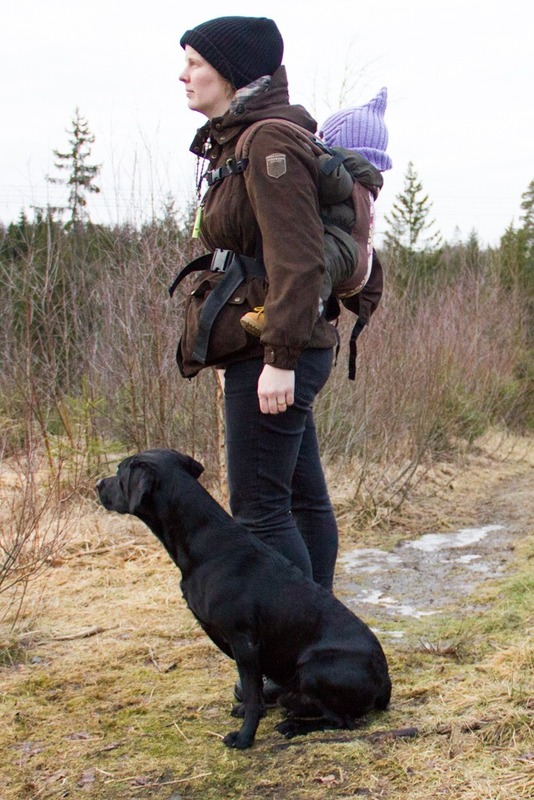 I think it is easier to train if I have a clear picture of a fairly accurate position where I want the dog. 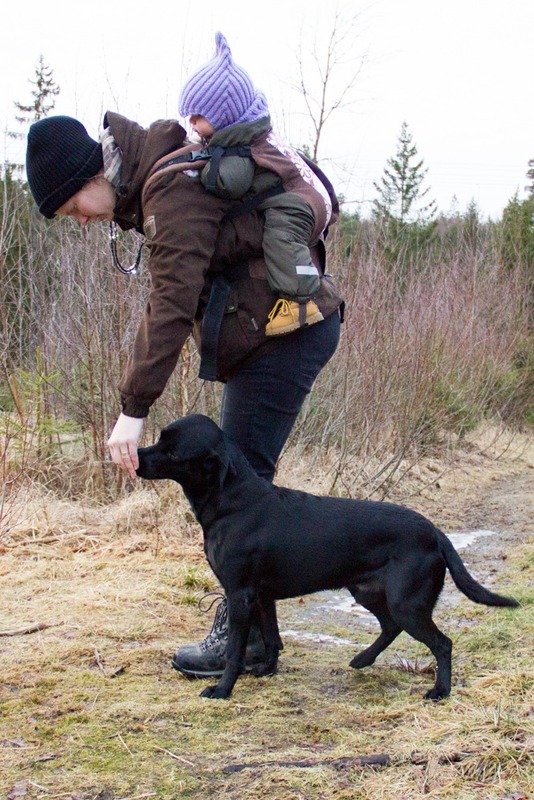 Of course, in rugged terrain the position will naturally change a little, I do not want to request an unreasonable position of the dog, but rather that it then slides in slightly behind me or out a little on my left and then comes back to my left side. The most important thing is not exactly where the dog walks but it being apparent that we’re walking together – that the dog follows me and that I do not have to focus on the dog but can devote myself to what is happening around us. Put the dog next to your left leg by letting it nibble on a treat – the dog should not learn anything now, you should just see how you want the dog positioned. Feel free to look at a mirror so you can see what it looks like – from different perspectives – and take a mental picture of it so you can reward just that position later on. I want Keen’s shoulder a little behind my knee and five to ten centimeters to the left of me. When he sits down, I want his front paws to level with my toes. Find out what your perfect heelwork position looks like. Want to improve your recall? Have just practised with Layla slightly behind me and around 40 cm away from me, looking at her in the glass of my cooker. We did 6 x clicks then a break and then 4 x clicks and then she got bored (she is only 4.5 months old). Will do this often although it may not be daily depending on circumstances.